the bad: when is this celebrity thing over? 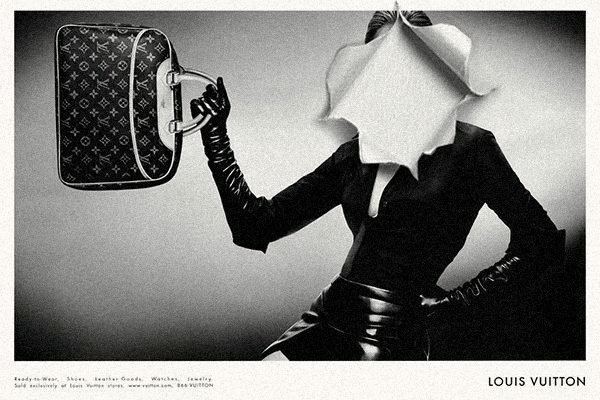 jennifer lopez historic campaign for louis vuitton. we are sure, many of you have uttered these very words. the opinion leaders at the tip of our very tall pyramid, have been carrying this sentiment for years now. but the answer, fortunately or unfortunately, is that “it ‘aint exactly over yet”. that said the faux-gloss of celebrity endorsements, be it for fragrances or fashion or food, are fading fast. this is the new-wave, even amongst the general market, where the tendency is moving towards reason and rational for loyalty and not just a celebrity name attached to some random brand. laundering uninspiring products and generically scented perfumes, backed by cliche adverting visuals (celebrity head-shots next to product A) was never the smart way to build a brand nor consumer loyalty. tempting as it was for its short term gains, this marketing model has led celebrities like rihanna, to attach their names to a multitude of products. rihanna alone has lent her name to more than 7 fragrances, as sales soared and then dipped, not to mentions a multitude of sports and fashion brands… others like jennifer lopez have backed a staggering 25 fragrances to date! that is 25 different scents approved by ms. lopez! “the turnover is extremely high, you’re basically grooming a lack of loyalty,” said marian bendeth, a fragrance expert and owner of consultancy sixth scents. “in some regards, it’s disrespect for an art form…” which such celebrities have little to no knowledge of. now are we to believe that these celebs actually love and consume such products? after all, everyone knows that they have little knowledge/involvement with such specific product development, other than the use of their name and the reward of financial gains. it is no secret today, that celebs shamelessly charge designers to even show-up at their collections and sit at their front row just to be photographed and seen. this not only diminishes the status of these brand, but it makes it terribly uncool for the brand and the celeb alike. this does make sense if you think about it; while we may all love stanley kubrick for his contributions to cinema, we could care less for a “stanley kubrick fragrance”. here, brand relevance (for the celebrity and the brand alike) as well as some level of category knowledge, is really key in selecting a lasting partnership. so while we believe celebrities have a place in our consumer market, the manner in which they are involved, will be a key factor in these collaborations and their success. ceft and company’s past involvement with celebrities, be it in editorial contexts or in brand partnership campaigns, attests to an alternative way of how celebrities can be utilized and matched in a more meaningful manner. view all work for beauty / fragrances.